Our Tamworth girls have a handsome new visitor. 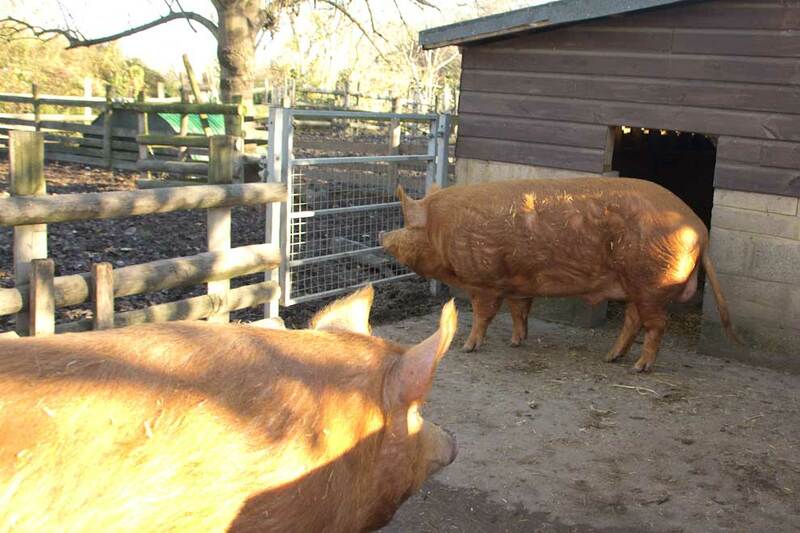 The dark ginger boar is visiting the gilts at Mudchute and we hope their time together will be productive. (Bit of pig terminology: a gilt is a female pig who has yet to have her first litter, after that she is known as a sow. The boar seems to be getting on well with our gilt so far. They make a happy, chatty pair, greeting visitors enthusiastically (and rather noisily!). 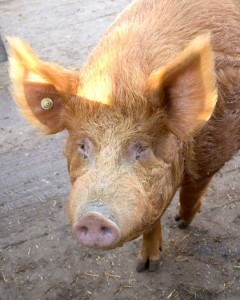 We hope to be welcoming some ginger piglets next Spring if things continue to go well. Gestation (pregnancy) in pigs lasts about 115 days (just over 3.5 months). In the meantime, it’s lovely to see the pair together. 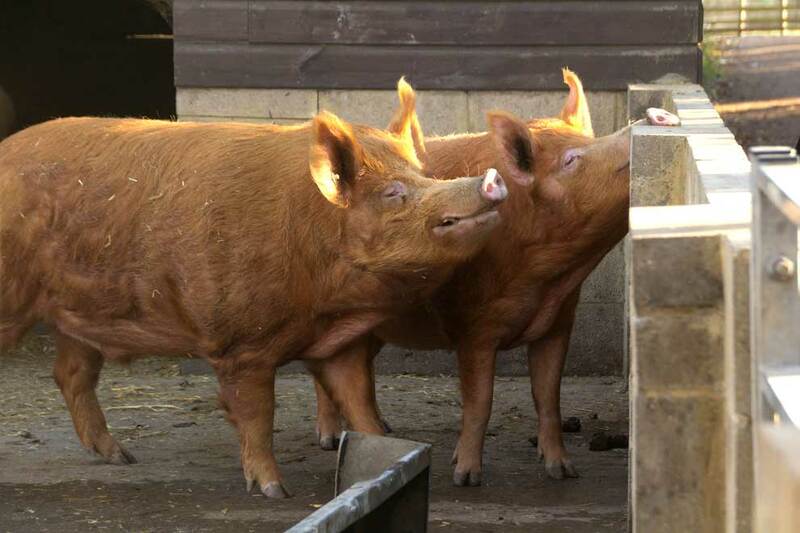 Can’t wait to see Tamworth piglets? 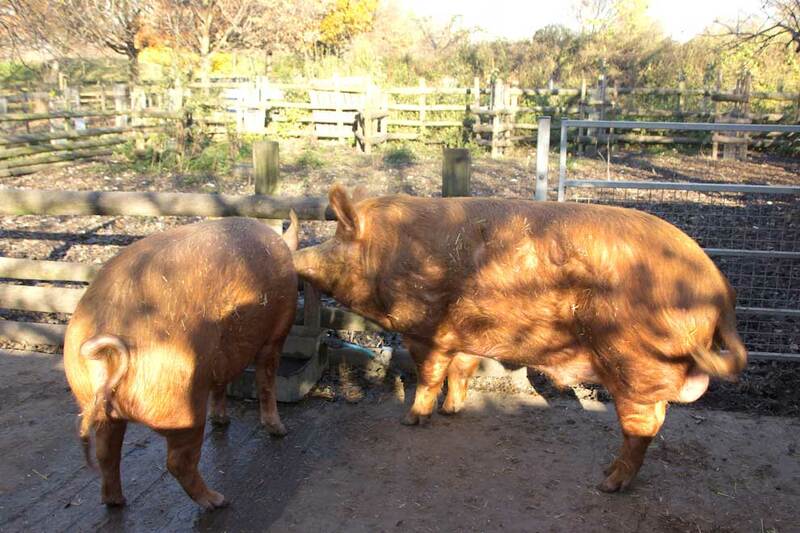 You can take a trip down memory lane and look back at how tiny the two sows once were!